What Makes Weldability Sif Trusted For Over 90 Years? Longevity is vital in welding. That’s why welds, welders and welding products undergo such scrutiny and why highly skilled craftsmen are so vital to industry. Quality breeds trust, and reliability saves wasted time and money.No welding product manufacturer knows this better than Weldability Sif, who for more than 90 years have been trusted and relied upon by master craftsmen in the UK and across the globe, for their innovations in brazing and welding technology, for support, and for technical excellence.In today’s busy industrial market, where there are more demands than ever on quality, compliance and delivery, you need a welding product brand you can trust. Here’s why Weldability Sif are that brand:• Quality Control To ISO 9001 and EN 1347 With full, audited CE and 3rd-Party Product Approvals.• Traceability & Material Test Certification Up to EN 10204 3.1. With production consistency to BS EN 12074 and EN ISO 544.• Technical Support Metallurgists and Process Engineers on-hand to assist with up-to-date knowledge of standards, applications and safety legislation. Able to assist with welding procedures and engineering improvements.• Complete Product Range Of reliable, affordable welding machines, wires, rods, torches, fume extraction, safety products and accessories.• High UK Ex-Stock Availability Over 4,000 Pallet Bays in our modern 60,000ft Distribution Centre.• Fast, Next-Day Delivery With Dispatch Notification and Online Order Tracking.• Easy Online Ordering Shop from our range of over 3,000 products, at low market prices.• In-House Welder Training and Certification Vocational and Professional Courses, delivered by Experienced Instructors, plus Welder-Coding/Testing Services from our Qualified Welding Engineers.If you want to ensure your welding is at the most productive and cost-effective it can be, choose Weldability Sif as your preferred supplier. The welding industry is known these days for both being at the heart of the UK manufacturing sector, and an industry looking at a skills shortage with impending consequences in the future. 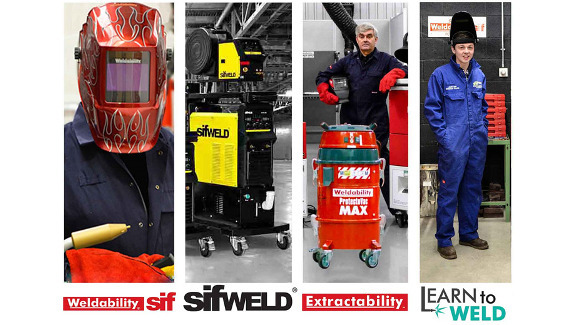 Not as well-known yet perhaps, is the skills revolution being led by Learn to Weld, the education division of UK welding product company Weldability Sif. This Hertfordshire-based business has recently teamed up with the Department for Work and Pensions and the education provider, Learn Direct to deliver a Sector Based Work Academy SBWA in welding. ‘Get into Welding’, as the academy is known, is a six-week course providing an opportunity to study towards a Level 2 EAL ‘Performing Manufacturing Operations’. This includes MIG & TIG welding and employability support to help candidates improve their skills and employment prospects, as meeting the requirements of an SBWA. The aim of academies of this sort is to meet immediate and future recruitment needs by helping to recruit a workforce with the right skills to sustain and grow business, and “Get into Welding” is clearly no exception. In delivering the course, Learn to Weld opened up the doors of its modern Technical Training Centre TTC to a dozen unemployed jobseekers aged 19 and over. A bright and inviting studio based in Letchworth Garden City, it comes with state-of-the-art welding bays, industry-standard equipment, and a complete ‘Virtual Learning Environment.’ Candidates were referred via Letchworth Jobcentre and screened by Weldability Sif, with the successful applicants starting the academy on 6 November 2017. The results were positive for the budding welders, with David Scarrott for example being impressed by the TTC itself, a “professional place where health and safety is paramount. There’s definitely no cutting of corners.” Describing the virtual welding training suite at the TTC, David said he liked how it gave him more confidence to try welding virtually, before “doing it for real. It really does take away all the worry.” “My progression has been great,” was David’s overall conclusion on the course. “I’ve got to the position where I know if my welds are fit for commercial use, that I’ve found my own technique, and I feel confident enough to show off all my skills to future employers!” Weldability Sif is delivering welder training across the UK via its 36 FE College based welder training studios and their facility in Letchworth is adding to the pool of 11,000 welders created so far. The construction of the London Underground is often considered an engineering marvel, but we often forget the little miracles that happen on a day to day basis. Case in point - the story of a group of Transport For London TFL maintenance engineers who journeyed in the summer to Hertfordshire’s ultra-modern Learn to Weld Technical Training Centre TTC with no welding knowledge whatsoever, and returned to London as qualified welders. And this was all completed within one week! The brand behind this feat is Learn to Weld, the education division of leading UK welding products company Weldability Sif. Entirely dedicated to training Britain’s next generation of welders, Learn to Weld’s seasoned expertise came in handy, when TFL set about solving a reliance on contractor work for train carriage maintenance, at their Stratford depot. With no welding experience under their belt, it was down to Learn to Weld’s mixture of seasoned tutors and cutting-edge VR technology to fill in the knowledge gap for the TFL engineers. The Learn to Weld TTC itself, where the group studied, certainly helped matters, equipped with its state-of-the-art welding bays, industry-standard equipment, and a complete ‘Virtual Learning Suite.’ This virtual welder training suite is Learn to Weld’s key hallmark, fitted out as it is with cutting-edge fully-immersive virtual welding equipment which allowed the engineers to train digitally and safely, before trying their hand at real welding, in one of the centre’s many welding bays. After a week at the Letchworth-based TTC, the engineers left fully trained to the equivalent of the high BS EN standard required and having achieved an EAL NVQ. Returning to London in August, they were able to weld on the Jubilee line trains in their care, maintaining aspects such as the aluminium-base within each carriage. Weldability-Sif Chairman, Adrian Hawkins, said on the project: “We are pleased to see the investment in VR and E-Learning developments we have made, to complement our welder training courses, which has led to the fast tracking of students through the Level 1 courses we provide. With the package we offer it is possible to introduce learners to the various welding processes within a week, process by process, bringing them to an acceptable level of knowledge, to enable them to practice further and hone their welding skills. Our industry has a severe shortage of welders and fast-tracking students will become more relevant as the nation develops its Industrial Strategy.” Weldability SIF Managing Director, Gareth Hawkins, added: “We are proud to have worked with a key provider of critical transport infrastructure and are pleased to know that they found their experience with us to be so beneficial. We look forward to providing further customised programmes to organisations requiring similar solutions”. 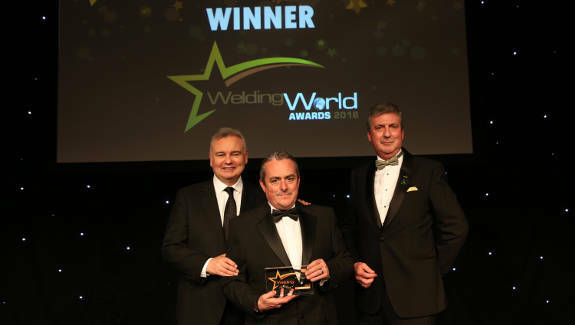 Education is vital to the future of UK manufacturing, and leading the drive to plug the skills gap is UK welding products company Weldability Sif, who over the past 4 years have been diligently working to increase the number of welder training facilities available across the UK. Over the last year, Weldability Sif managed to decrease the deficit of available welders even further, when they joined forces with the manufacturers’ organisation EEF for the expansion of EEF’s welder-training facility. Based within Aston, Birmingham, is the EEF Technology Training Centre TTC, part of EEF’s Aston Training Campus since 2013. 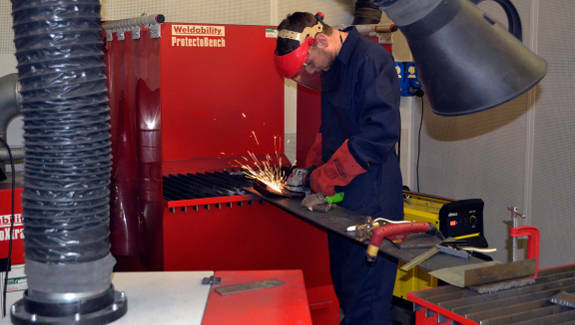 This September saw the centre’s welder training suite get a major revamp, thanks to Weldability Sif. Newly fitted-out with 24 welding bays and state-of-the-art industrial equipment, the brand new dedicated welder training suite is now at the heart of EEF’s Aston TTC, with the project completed just in time for the start of the new education year. The centre also houses cutting-edge, fully-immersive virtual welder-training equipment from Weldability Sif, providing a complete 'Virtual Learning Environment', which allows students to train digitally and safely before trying their hand at welding for real. Speaking about the launch in September, Aston TTC Centre Manager Christine Chapman remarked that Weldability Sif’s “high-tech equipment for virtual welding has been a fantastic investment for EEF.” Commenting further on the centre’s virtual welding tools, Chapman believes VirtuWeld technology “compliments the traditional welding facility and allows us to offer our apprentices and other learners an engaging taster for the skills and techniques needed in a real welding environment.” Thanks to Weldability Sif, students at EEF can now also enjoy “a breadth of welding technology learning, ranging from basic skills to coded welding in a safe and innovative environment, easing learners into the skills they require before using traditional welding equipment, saving both time and cost”, she continued. Discussing their partnership with the UK’s leading independent welding products company, Chapman was “delighted with the service and support that we have received from Weldability Sif and their fume extraction division Extractability.” Weldability Sif Managing Director, Gareth Hawkins, commented “The new welding centre will support EEF’s existing courses and apprenticeships, and marks yet another successful deployment of a Weldability Sif training centre within a prestigious industrial educator. We are proud to work with EEF on this venture.” The company has now provided facilities across 35 education locations in the UK which are actively engaged in having issued more than 10,000 qualifications since embarking upon their mission to ensure welders are trained to high standards in the UK. 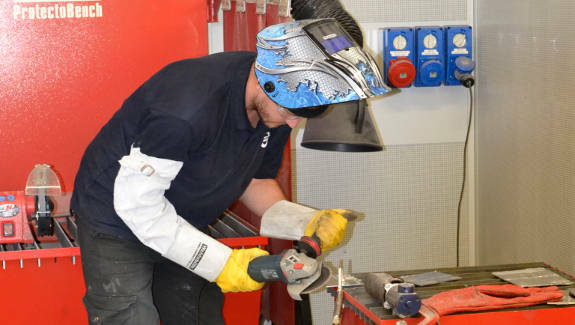 The company provides vocational welder training facilities around the UK, further tackling British manufacturing’s current shortage of skilled welders.